It looks like I failed to attract any Microsoft readers, but I have at least two readers from the Big Blue. Let the pandering to the audience commence! 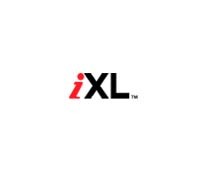 As those of you who actually read my journal might know that I used to work for a dot com agency called iXL where I had many unforgettable experiences. 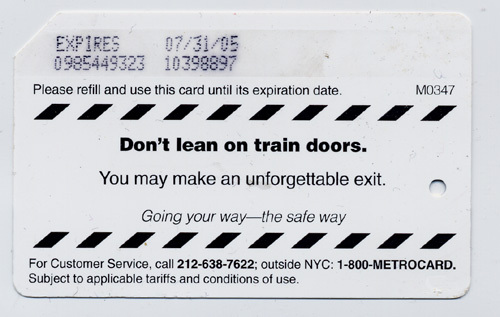 (I finally found a metrocard that casa” posted in his journal a while ago). In the beginning it was a hip company – dress code was not enforced and neither was anyone required to come in at 9 AM. 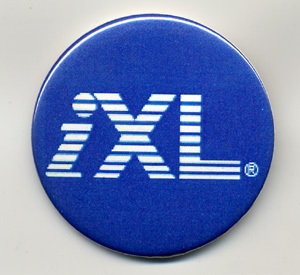 I don’t remember what it was, insistance on business casual or the mandatory 9AM meeting that made sysadmin named Lee to make enough of these buttons for everyone to wear in the 9AM meeting. Next PostNext Ever Onward I.B.M !